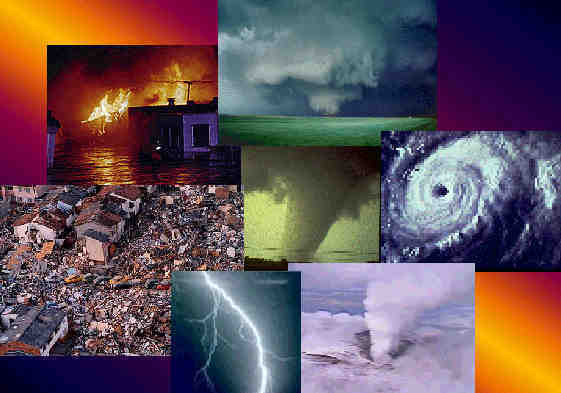 Disaster can strike a power plant, factory, hospital or data center anytime the power goes out. But when their electrical equipment experiences a catastrophic failure due to either a natural disaster like flooding, equipment age or poor maintenance, it can quickly go from a production emergency to a plant disaster. A disaster of this magnitude often requires weeks and potentially months for plants to recover instead of hours or days. Natural disasters are much more taxing to large manufacturing plants because the local resources typical available to a large power consumer are being mobilized and committed to other effected facilities in the area, trying to deal with the disaster. Over the years I have talked to many business leaders and owners who have expressed to me that they would like to provide increased emergency response equipment and services to their customers in times of emergencies and disasters, but feel they continue to miss the opportunities. PEARL is made up of dozens of equipment dealers with large warehouses scattered all over the US. These warehouses are filled with the exact equipment that is needed to help plants and factories get back up and running when disasters strike. So how is it that some equipment dealers are able to position themselves to provide enormous amounts of equipment during a disaster and some feel as though they are sitting on the sideline? Is your company properly positioned to respond to a client during this time of need? Does your inside sales team know how to respond to a client during a disaster? What type of pre-marketing should your company be doing to position themselves as a first responder and what are the commercial terms and issues that might be encountered with customers experiencing a plant disaster? Questions like these are going to be the theme at this year's annual PEARL conference. PEARL is going to have subject matter expert's on-hand with years of experience as disaster responders. You will have an opportunity to learn from their experience and ask them questions about how to better prepare your organization for being a disaster responder. Remanufacturing (or "reman") is a truly closed-loop industrial process that intentionally recaptures the value-added component of a product so that it may lead additional useful lives rather than being landfilled or recycled. In the Empire Strikes Back, when Yoda is training Luke to be a Jedi, he demonstrates the power of the Force by raising an X-wing fighter from a swamp. Luke mutters, "I don't believe it." Yoda replies, "That is why you fail." As usual, Yoda was right - and science backs him up. Numerous studies have proved that confidence is the real key to success. Studies exploring the performance gap between men and women in math and spatial skills have found that confidence plays a huge role. Women who were asked to identify their gender before taking a spatial skills test performed more poorly than those who weren't. Women also performed better when they were told to envision themselves as men, and both genders performed better when they were told that their gender is better at the task. Welcome New Full Satellite Member, Western Electrical Services, Phoenix! PEARL and the Membership Committee are thrilled to announce that Western Electrical Services' Phoenix location has been approved as a Full Satellite Member! Welcome aboard! The PEARL Board of Directors welcomes you to join the November board meeting, Tuesday, December 6, 1pm-2:30pm EST. To join the call, please use the call-in details below. To receive the agenda and additional materials being reviewed, please email PEARL headquarters at pearl@pearl1.org to be included. And be sure to be with PEARL April 6-9, 2017, as we head to Newport Beach, California! This year's conference will have a sub-theme focused around disaster recovery. Hotel information and schedule of events are coming soon!